The natural ageing process, sun damage, gravity, and facial volume loss are the key factors which contribute to the sagging of facial tissue. 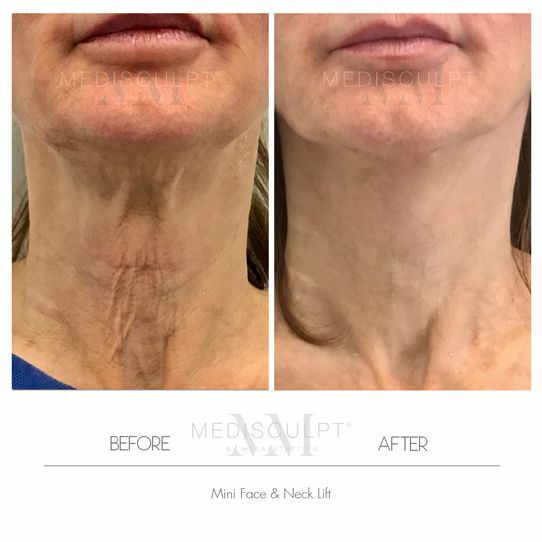 As such, the Surgical Neck Lift is a cosmetic procedure designed to lift sagging facial tissue and restore your youthful contours. 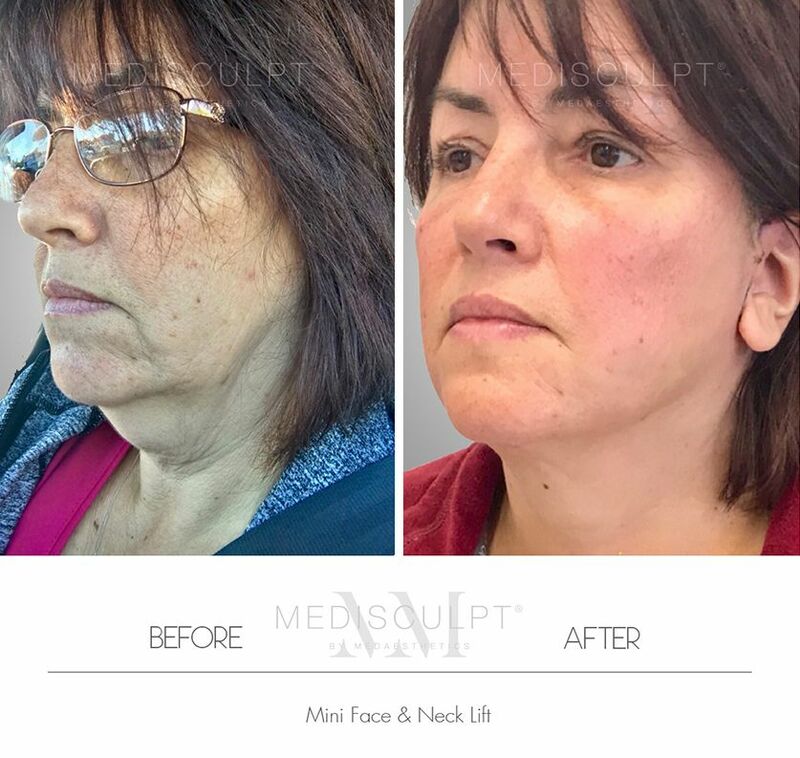 Our aim at Medisculpt is to help you achieve a look that is more consistent with how you feel. 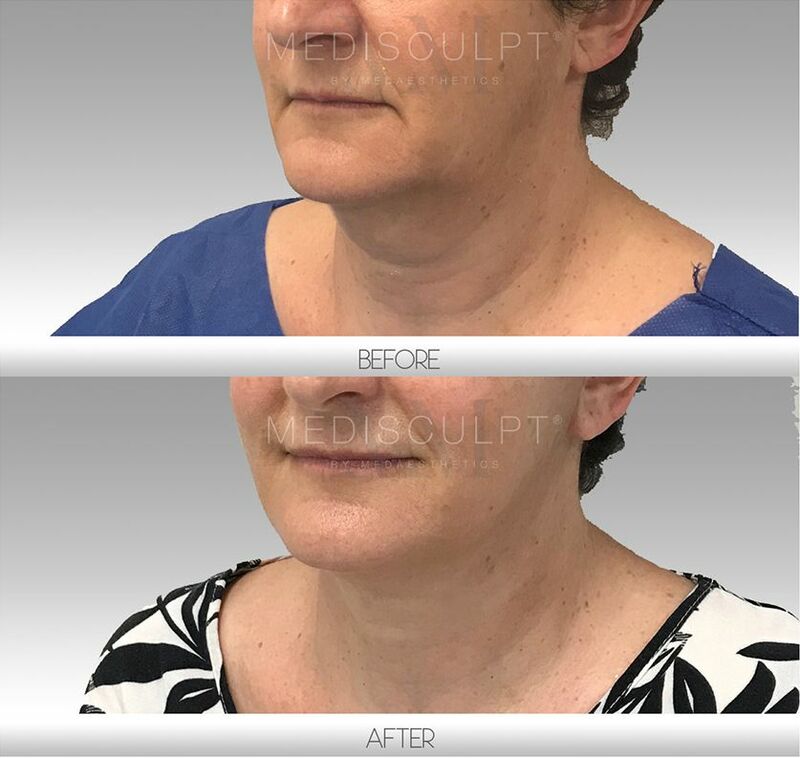 Dr Ehsan Jadoon has successfully performed countless Neck Lift surgeries and is renowned for achieving natural-looking results with high patient satisfaction. 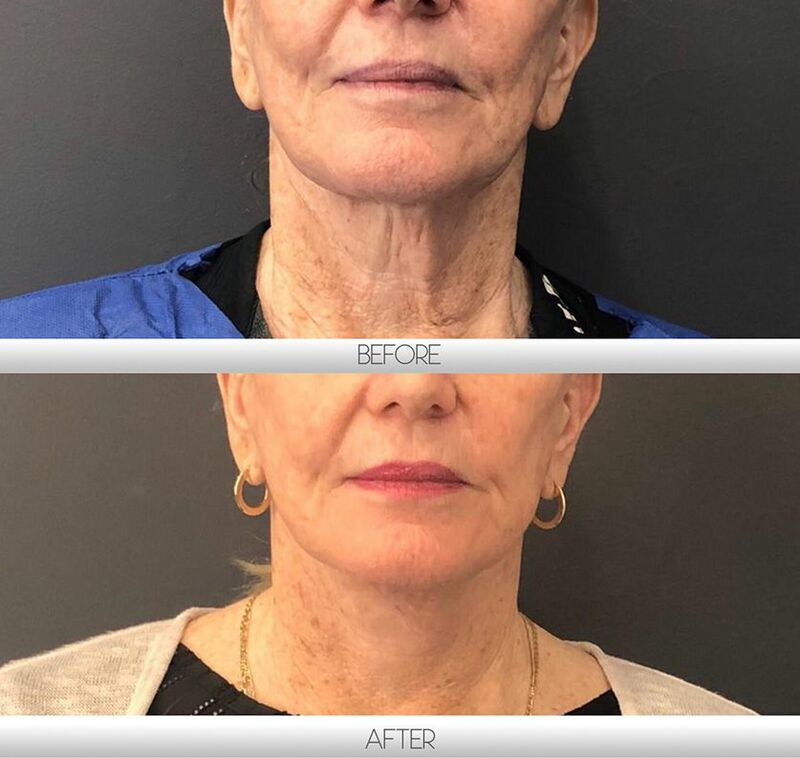 If you are considering travelling overseas for your cosmetic surgery because you cannot afford it here in Australia, please come and see us before you make any decisions. 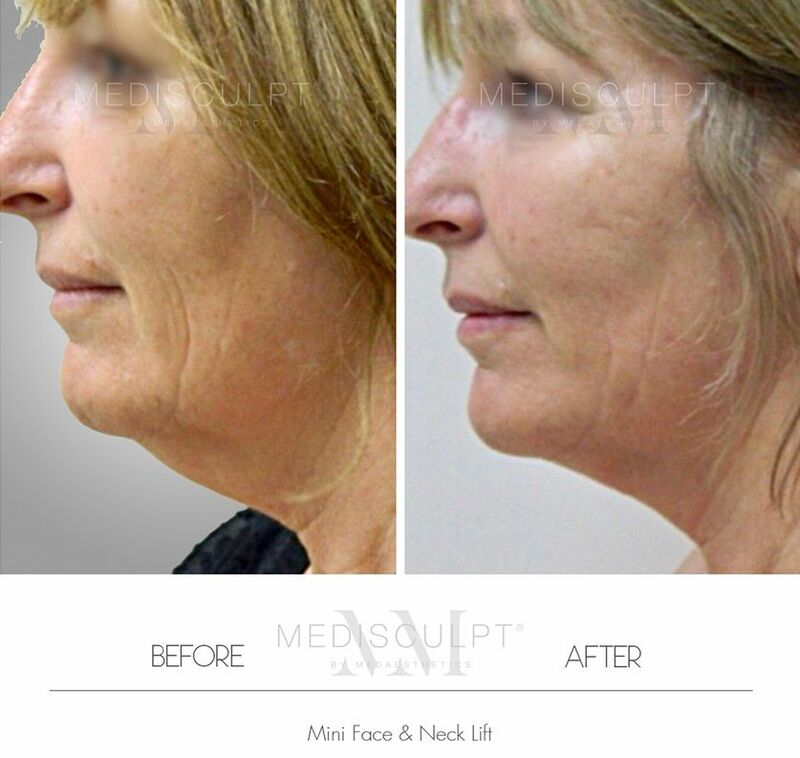 The Mini Neck Lift is designed for patients who are unsatisfied with lower face and neck sagging. 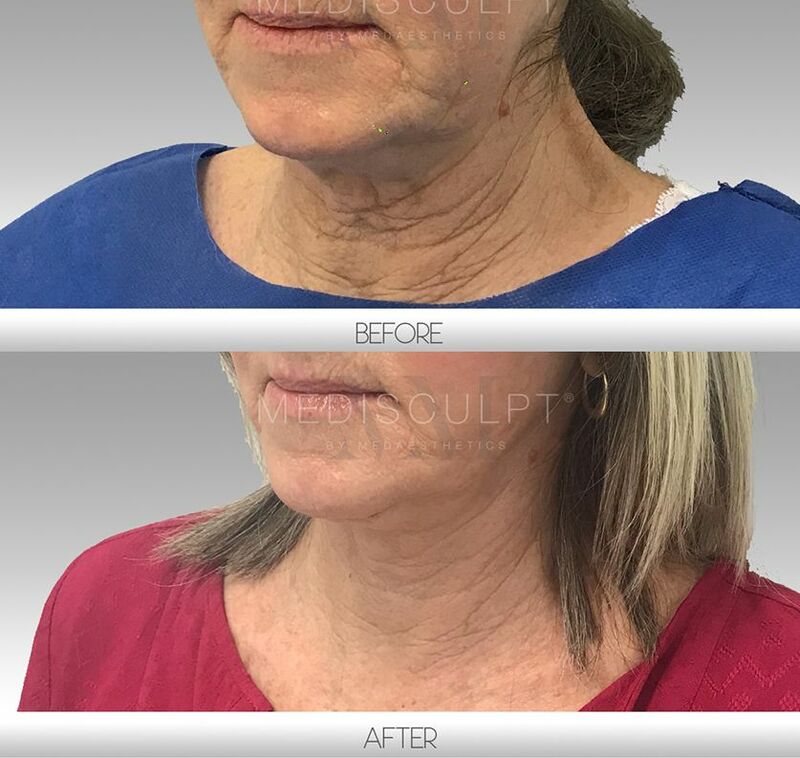 This procedure is best suited to a person who is contemplating a serious facial rejuvenation procedure with visibly significant and longer lasting results. 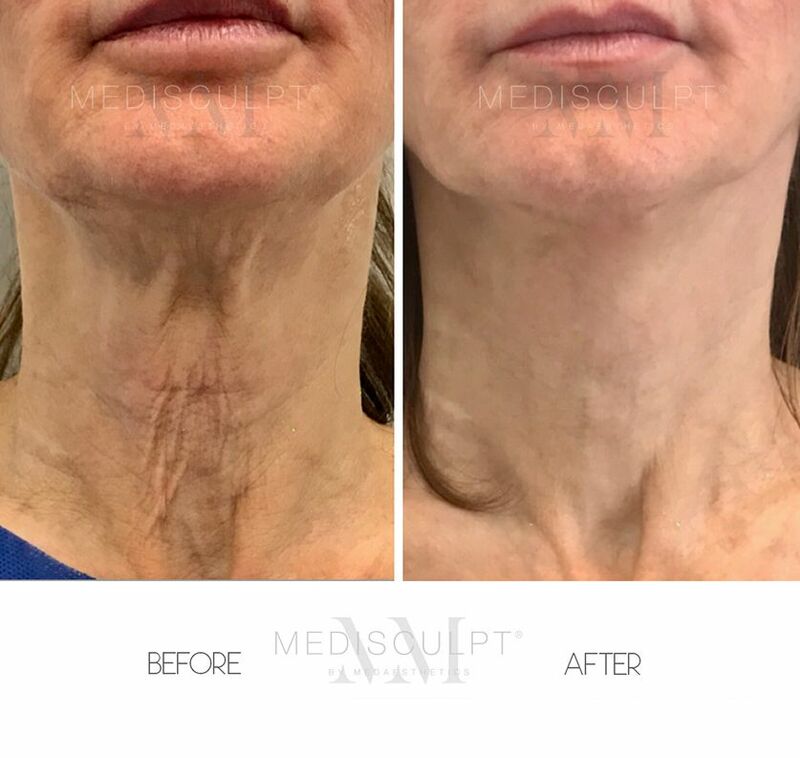 However, it is important to note that there are no non-surgical procedures which can truly tighten sagging neck muscles and skin. 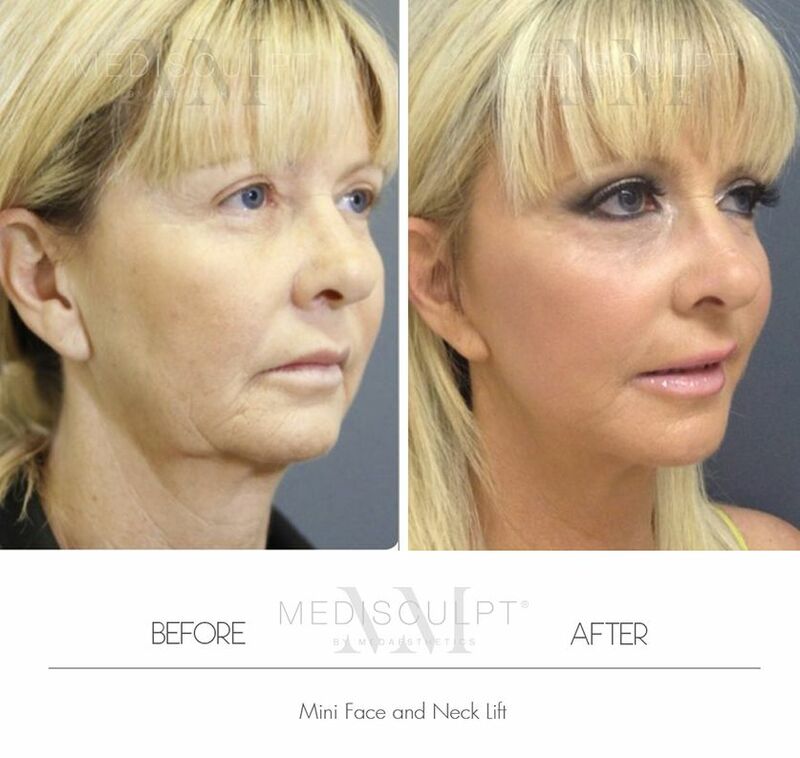 Mini Neck Lift surgery is performed under local anaesthesia as a day-procedure, without requiring any hospital admission. It can also be performed under general or twilight anaesthesia in an accredited day hospital. 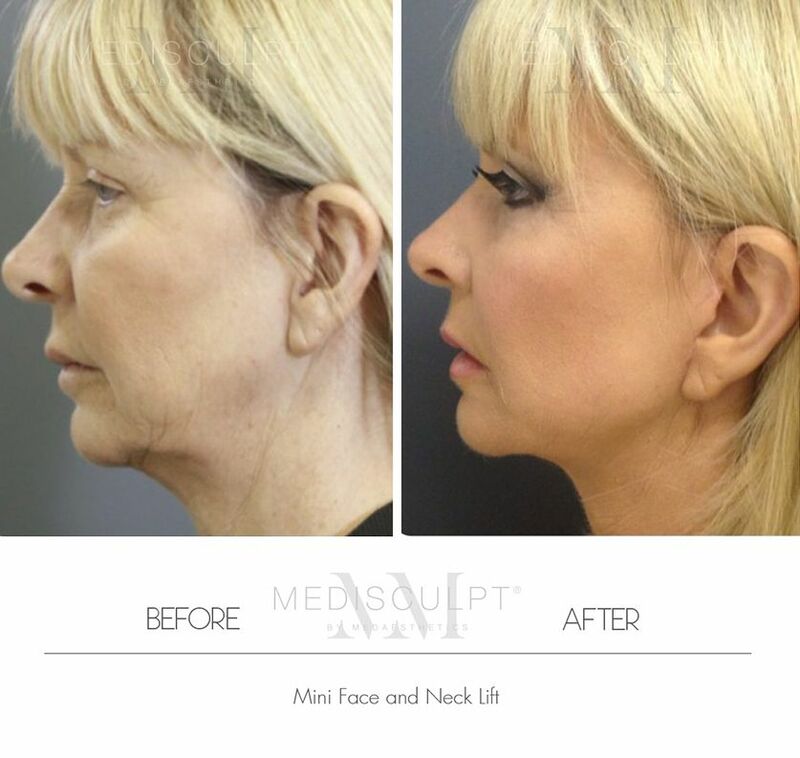 What are the two main types of Neck Lift surgeries? 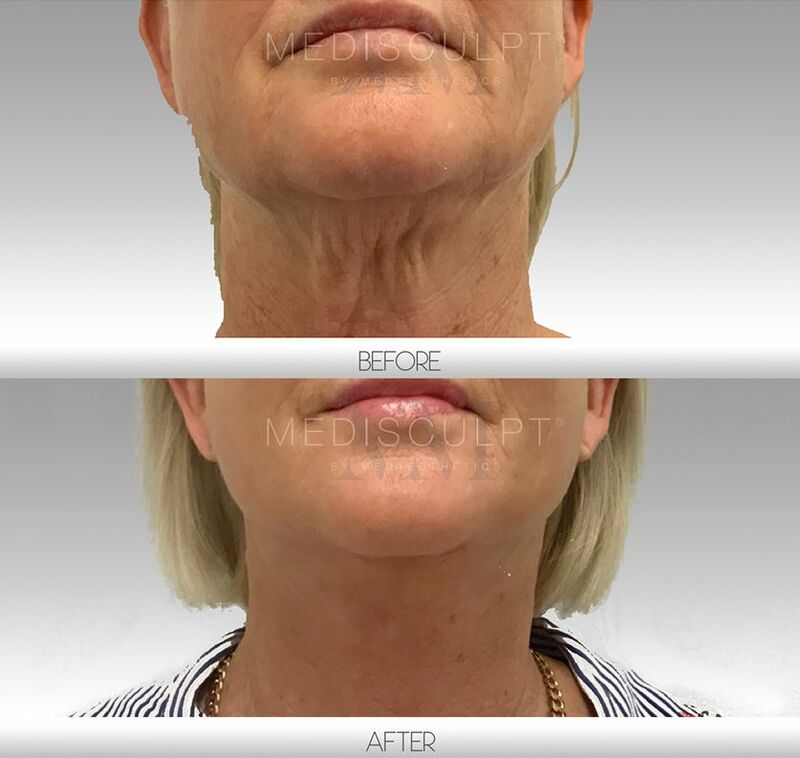 The two main types are Platysma-Plication Surgery and Lateral Platysma-Suspension Surgery. For context, the thin superficial muscle enveloping nearly the entire front half of the neck is known as platysma muscle. Platysma muscle sits right under the neck skin and is prone to becoming loose and saggy over time. Involves a small incision under the chin. Platysma muscle is then identified and tightened in the midline using surgical sutures. 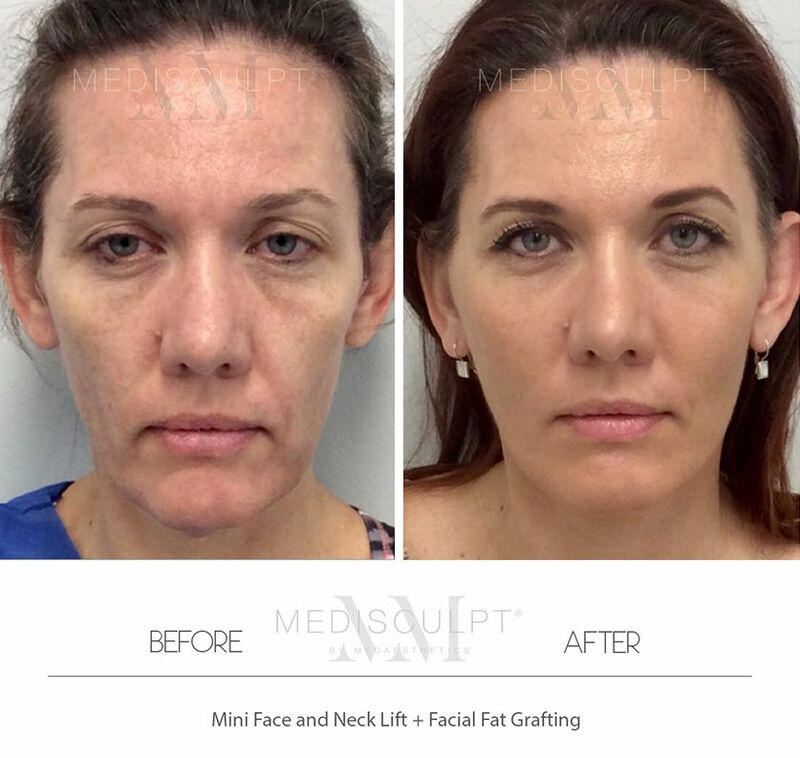 This surgery is often carried out in conjunction with the Face Lift surgery. An incision is made behind the ears extending into the hairline. The platysma muscle is then identified, pulled upwards and tightened using surgical sutures. 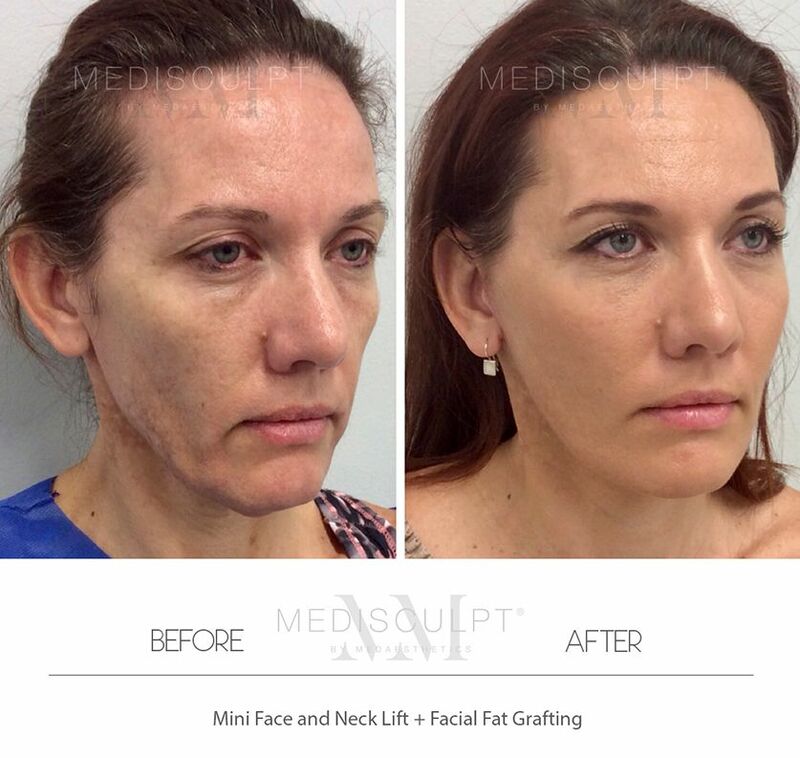 Any excess neck skin is also pulled up and excised after that. 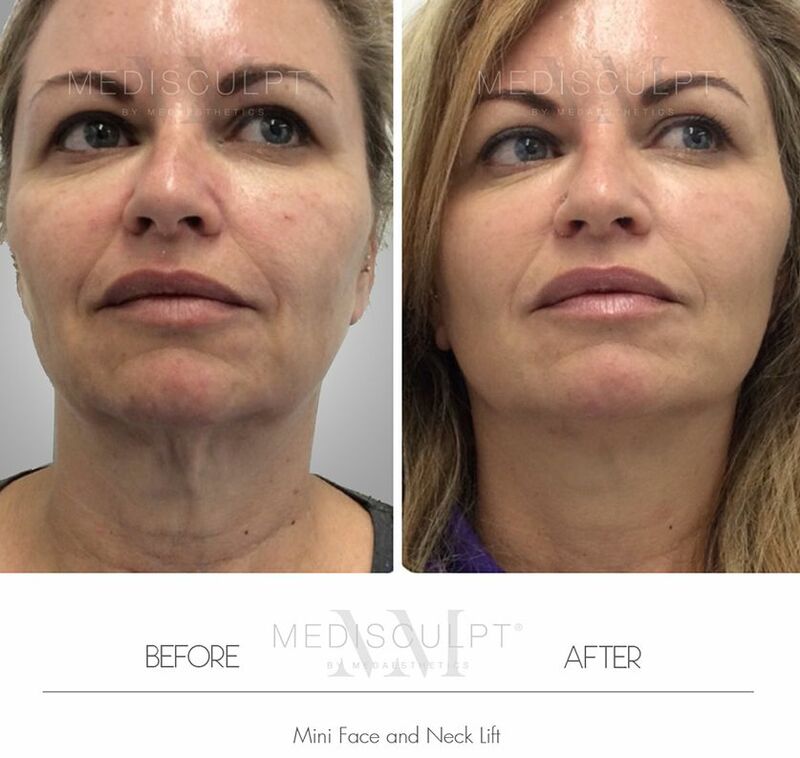 In moderate to severe cases of neck sagging, both of these procedures will be combined in one sitting. 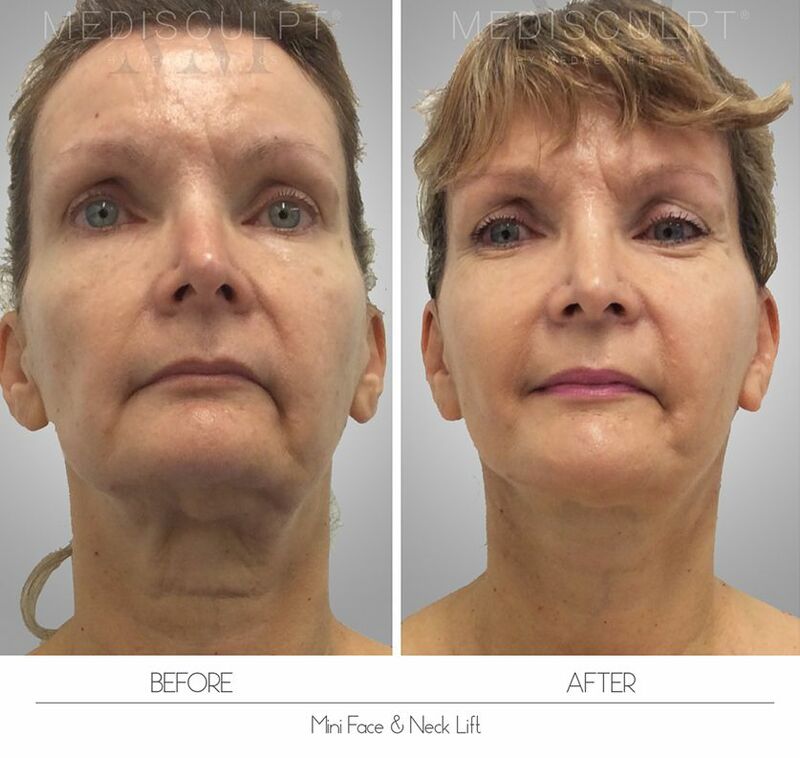 Mini Neck Lift is a relatively quicker procedure to perform. On average, it takes under two hours to complete. Patients usually tolerate this procedure well. Additionally, there is significantly less risk of DVT and other potential complications that are associated with general and twilight anaesthesia. We routinely perform this procedure under local anaesthesia while the patient is awake. The potential risks include respiratory depression, cardiovascular compromise and increased incidence of Deep Vein Thrombosis (DVT). What is the degree of pain associated with this procedure? 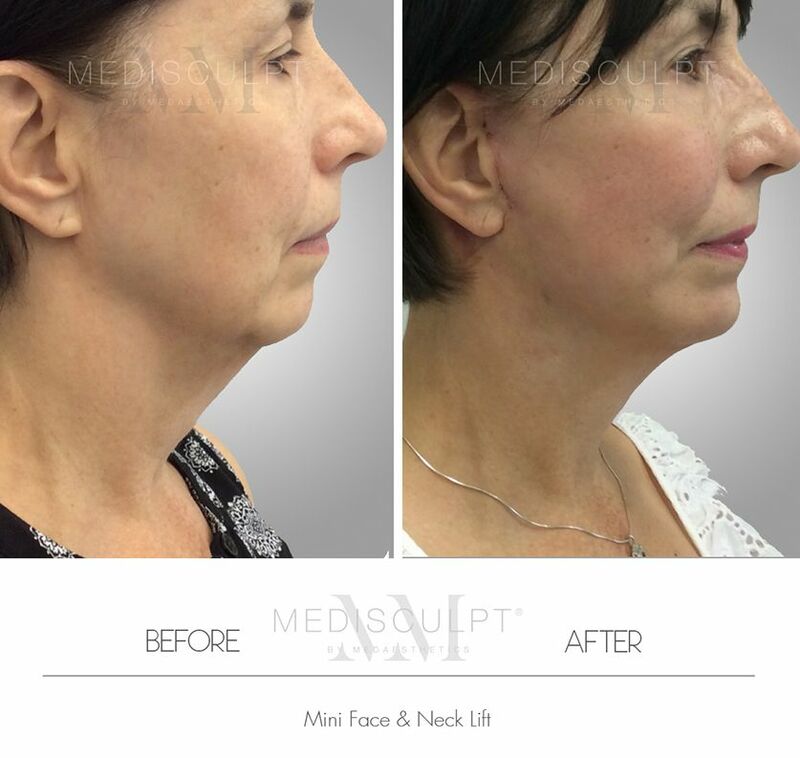 Most people are quick to recover from the Mini Neck Lift exceptionally well. Since no general anaesthesia is administered, patients can go home straight after the surgery and do not require prolonged post-surgical hospital admission or monitoring. After what period of time are the sutures removed? The non-absorbable skin sutures are usually removed on Day 7, provided that the wound has healed reasonably well. When may I resume work? Light activity is permitted after 72 hours, and most patients can return to office-based work within 7 to 10 days. In the majority of cases, the incision scars are barely noticeable and begin to fade quickly within a few weeks. 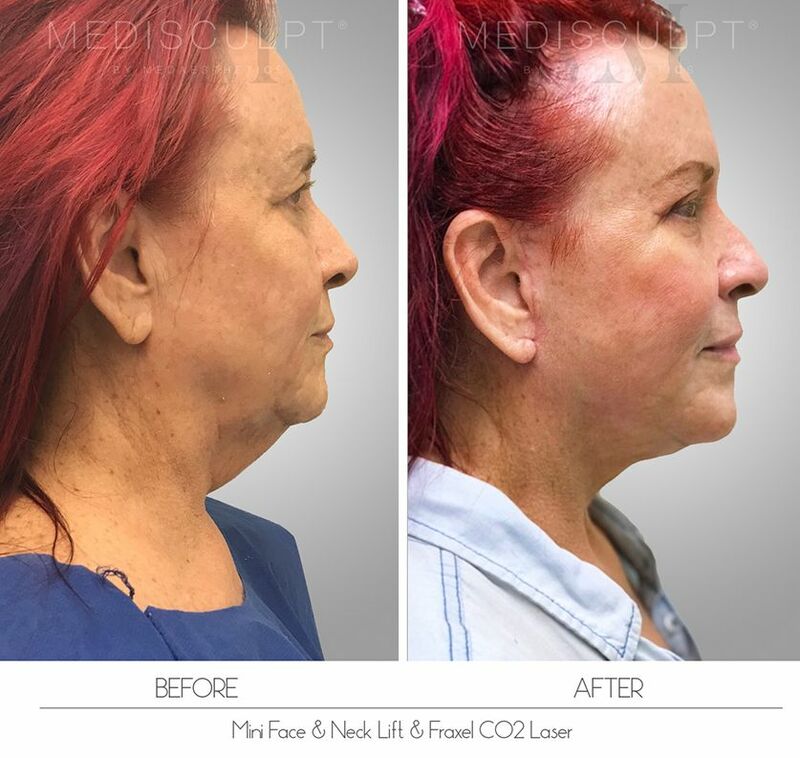 At Medisculpt™, we have the most extensive range of Fractional CO2 Lasers to help reduce any scarring, whether related to a surgery or trauma. Patients may experience some numbness in the treated area after the surgery. However, this effect will disappear with time. We recommend avoiding any strenuous physical activity for the first 2-3 weeks after any surgery. Otherwise, light exercise is allowed after this suggested timeframe. 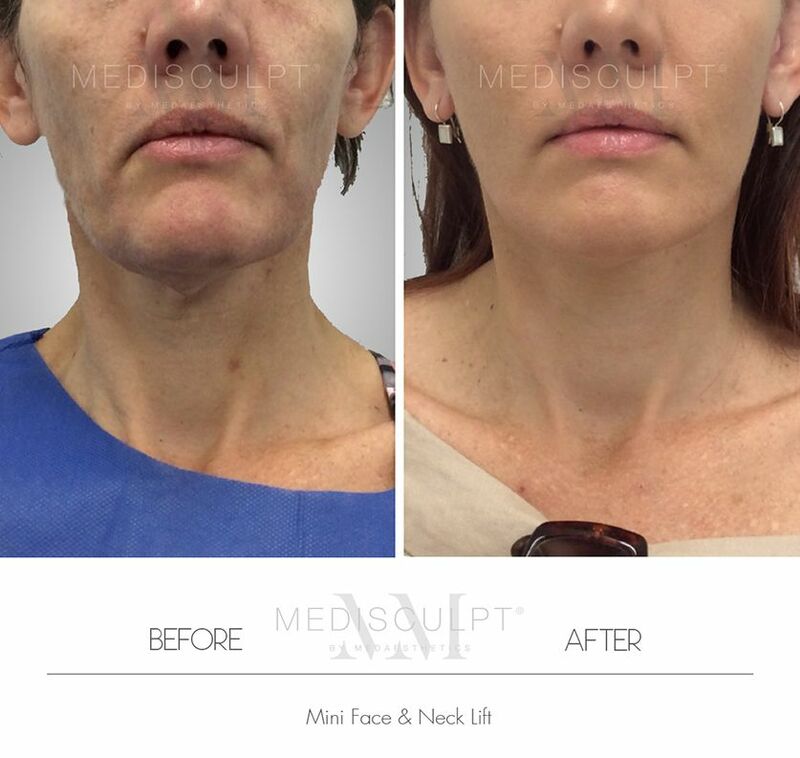 Mini Neck Lift costs start from $7,500 as a stand-alone procedure when performed under local anaesthesia. 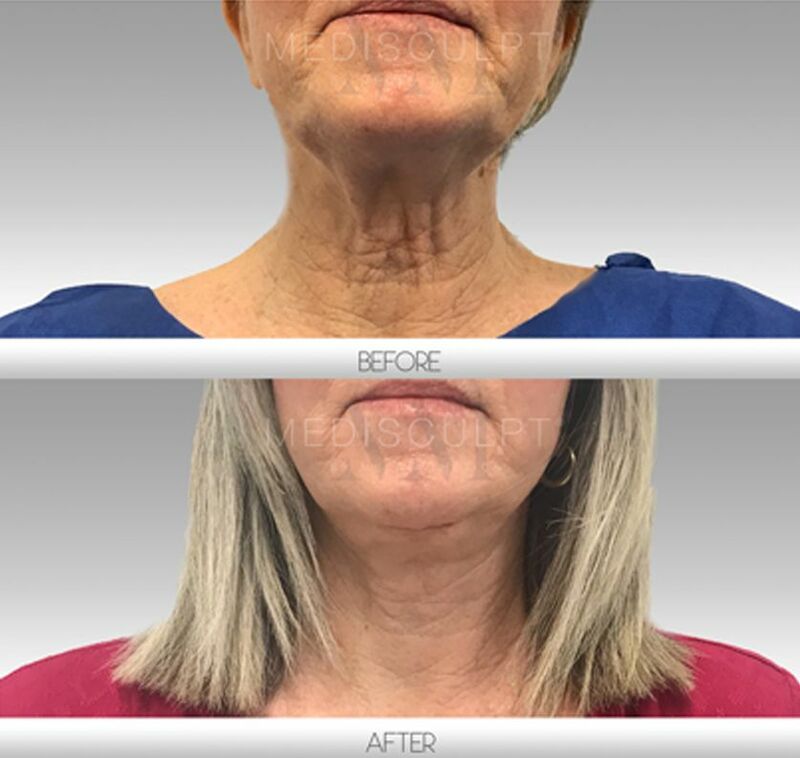 Most people opting for a Mini Neck Lift may also be candidates for other cosmetic procedures such as Mini Face Lift, Facial Fat Grafting or Fillers, Brow Lifts, Eyelid Surgery and Skin Resurfacing. 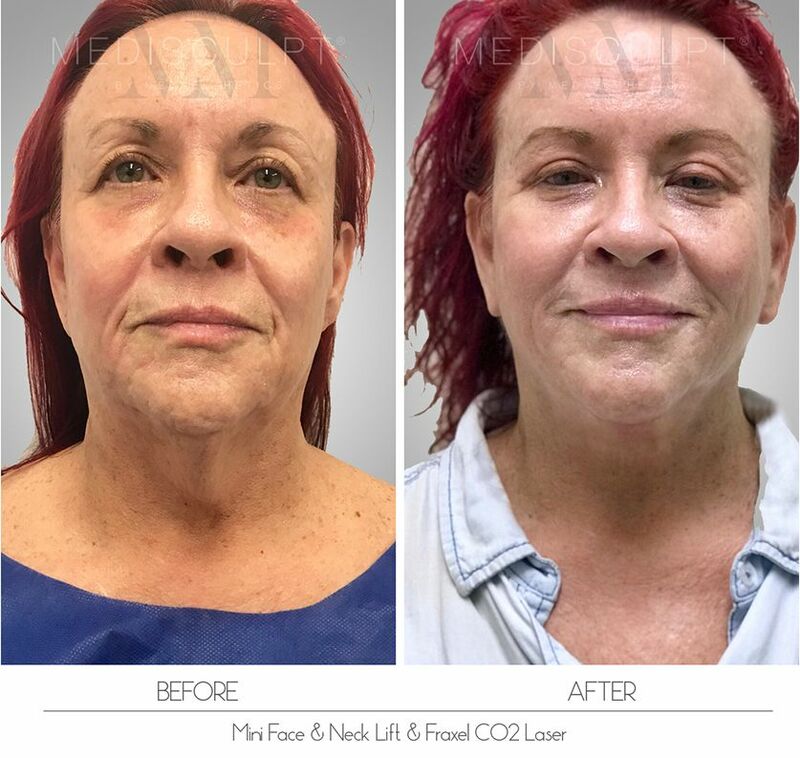 While facial ageing is a continuous and dynamic process, the results of Mini Neck Lift in an average person will typically last for up to 10 or more years. Please ensure that you avoid blood-thinning medication such as Nurofen, Aspirin, Heparin and Warfarin. Please discuss this with your General Practitioner in detail and make sure you are aware of any side effects of your current medication. Alcohol and cigarettes are the two main culprits when it comes to excessive bleeding during or after any surgery. Please avoid these harmful agents for at least two weeks (preferably more) before any surgery. Alcohol and cigarettes interfere with the normal healing process, increase the risk of potential complications and prolong the recovery time. We recommend that you organise a friend or family member to give you a lift back home as driving is not recommended for the first few days after the Mini Neck Lift surgery. You also must consider organising a family member or friend to stay with you for the first three days after any surgery. Important: Please inform your GP and seek professional medical advice before stopping any regular medication or starting any new medication.